Scars can act as a bump on the road to beauty. Whenever our skin gets wounded deeply a scar is formed. Scars are not formed by shallow damage to the skin. Our skin heals because of the scarring process. Different types of injuries cause different types of scars which appear to be different in color as well as texture. Therefore, a scar resulting from a burn would be different from a scar because of a deep cut to the skin. Scars temporarily change the skin structure. As scars are formed on the skin, our skin heals. Therefore nothing much can be done about simple scars. Mostly, regular scars are not raised but some scars may slightly protrude above the skin because of the production of collagen underneath them. This type of raised scars are known as hypertrophic or keloid scars. There may be another variety of scars which may be sunken in the skin which happens due to loss of skin fat tissues in the area. Scars are unsightly and most people want to get rid of any visible scars. Topical treatment may help but they take a very long time to be effective. For quick and effective results the best way to achieve scar free skin is a scar revision surgery. Scar revision surgery is the best method for removal of scars. Scar revision surgery for removal and rejuvenation is now available in Mumbai because of best cosmetic surgeon of India, Dr. Debraj Shome. To camouflage the scar and reduce the visibility of scars. Scar revision surgery can also help in improving the skin texture that may have got ruined because of the scar. Raised scars can be made to be less prominent after the scar revision surgery. Scar removal or scar revision surgery can deal with a variety of scars. Scars can be broadly categorized as; keloid scars, contractions, facial scars and hypertrophic scars. A scar removal or revision surgery can be of great help for the keloid scars. The appearance of keloid scars is generally very prominent because of which a scar revision surgery on such scars can be very helpful. The texture of such scars is rough with thick edges and keloid scars also make the skin darker around them. Keloid scars extend beyond their margins and that is essentially the difference between the keloid scars and hypertrophic scars which are almost the same except that they do not extend beyond their boundaries in the skin. Because of some injuries like burns injuries, the scar may lead to shrinking of skin tissues which causes the muscles to feel the pull while moving. The scar revision or removal surgery in such cases is done by the removal of damaged skin and replacing it by skin grafting. The most important scar removal surgery is done for facial scars. For removal of scars on the face, generally the damaged tissue is taken out and skin is repaired in its place. There are various methods for scar revision or removal surgery which depends upon the type of scar that is being dealt with. For the removal or revision of shallow scars, chemical peeling, dermabrasion etc. could be performed while revision for deeper scars is done by grafting or surgery. Scar removal or revision surgery can be done for medico- cosmetic as well as personal reasons. Very prominent scars on a person’s face or body part may lead to social awkwardness. Cosmetic clinics in India perform scar revision surgery by various methods. But mostly all clinics fail to customize the revision surgery plan. Not each scar needs revision or the same surgery removal plan. 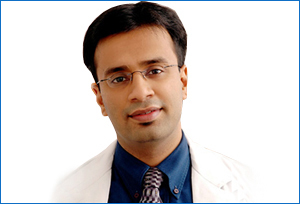 Mumbai has the best cosmetic clinics which are headed by Dr. Shome and his team which has the top doctors of India. Dr. Shome at The Esthetic Clinics of Mumbai ensures that the surgery revision plan for the scars is in the best interests of the patient. Mumbai gets the maximum number of patients for scar revision or removal from all over India. It is because Dr. Shome provides the best treatment along with the top facilities and after care. The growing number of patients for revision surgery in India is a testimony of the fact that India is now a medical superpower. People in cities like Mumbai now choose to undergo scar revision and removal surgery for aesthetic reasons as opposed to only medical reasons. Some of the top hospitals in Mumbai which do scar revision surgery have observed sharp rise in number of people. India’s top cosmetic and facial plastic surgeon, Dr. Shome regularly performs scar revision surgery planned for patients from all over India. Scar revision or removal surgery could be the best method for scars on the top as well as deep layers of the skin. Scar removal surgery for revision is now done with the best equipment and top technology in Mumbai by Dr. Shome. Previously scar revision surgery was mostly done with invasive methods all over India without any follow- up procedure. Mumbai gets the best of technology before any other city in India because of the top efforts of Dr. Shome. Scar revision surgery can be performed in India at various places, but Mumbai is the best place to get the surgery for scar revision. Dr. Shome ensures that all patients are satisfied with the results from his Mumbai clinics so that more people from outside Mumbai also know about the best technology. His efforts are also focused on spreading awareness about latest technology all over India. There is still a lack of awareness about scar revision surgery in India and Dr. Shome is making Mumbai the starting point of his cosmetic awareness campaign. Do not hesitate to come to Mumbai for your surgery. Mumbai is now the frontrunner of the cosmetic world and very soon Mumbai will be one of the few cities in India to exclusively have the best in medical technology.